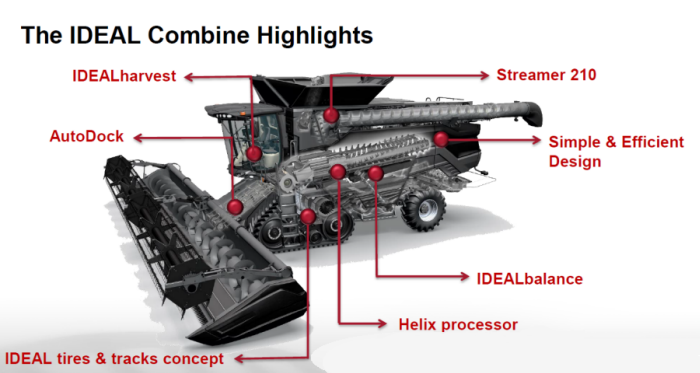 The AGCO IDEALTM combine is the first “clean-sheet” design of an axial combine in the industry in 30 years. 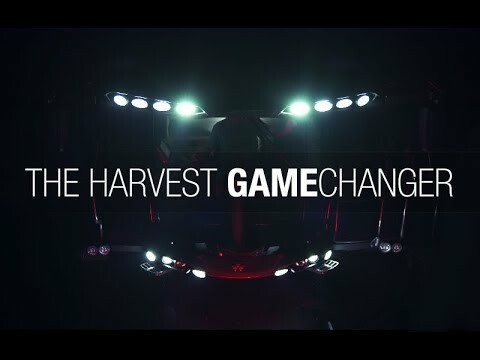 With extensive input from farmers and dealers the world over, AGCO teams across the globe developed the IDEAL and then tested it in some of the most rigorous trials ever initiated by a farm equipment manufacturer. 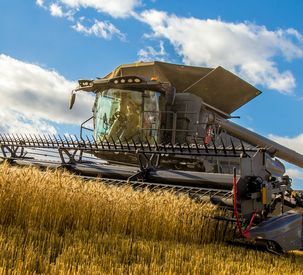 The result is a combine harvester range that ensures maximum efficiency, superior grain and straw quality, exceptional uptime, a comfortable and intuitive operator environment, and revolutionary sensor technology for on-the-fly harvesting adjustments. Grain handling system reaches the largest grain tank volume and the highest unloading rate in the market. A new way to manage crop flow with two separate return pans to catch and manage material; it also compensates for slope and simplifies operation. 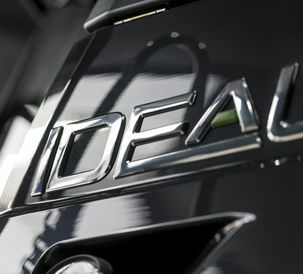 Advanced power and increased efficiency using one or two rotors. A narrow chassis main frame and modular concept design reduce soil compaction in the field. Improves power efficiency and offers larger and faster capacity, saving time for unloading. 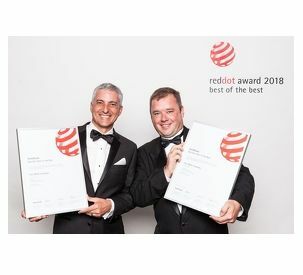 Farmers Guide Awards 2019 - Fendt and Massey Ferguson Win Machinery Award For IDEAL Combine. 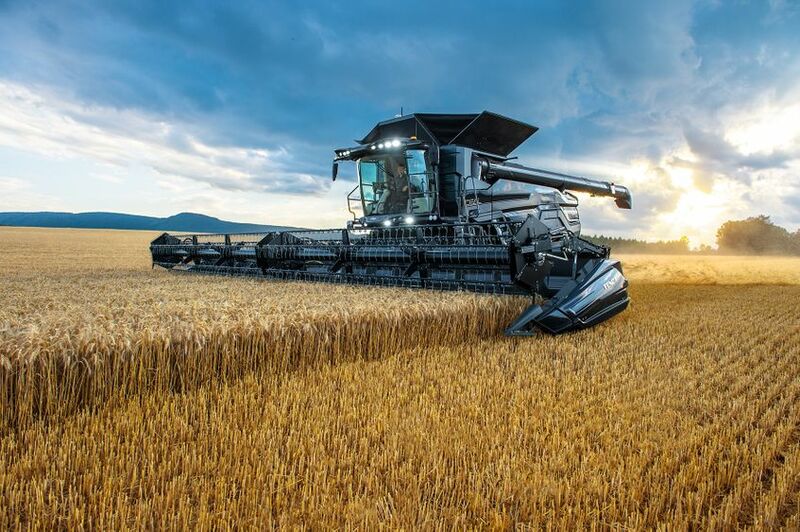 AGCO’s Ideal harvester made its long-awaited, official debut in Australia last week at the Wimmera Machinery Field Days (WMFD), Horsham, Victoria. 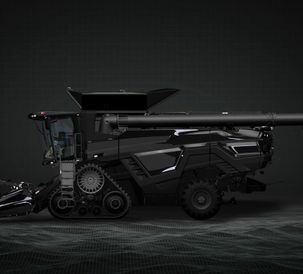 AGCO Corporation continues to show off its new Fendt IDEAL combine at events like the National Farm Machinery Show in Louisville, Kentucky. 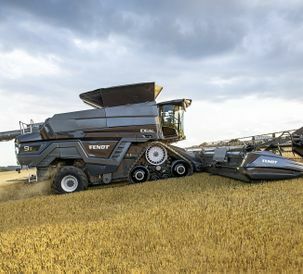 The company first unveiled the machine at the 2018 Farm Progress Show. 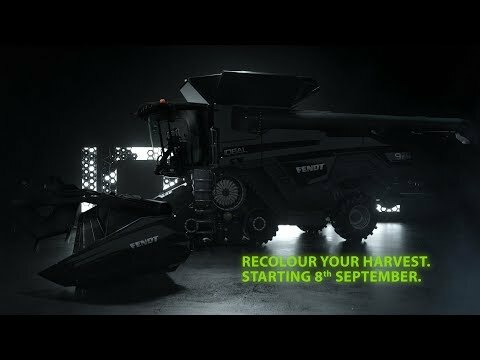 As harvest draws to a close around the country, AGCO was showing off its new IDEAL combines in a thick crop of winter wheat in Lincolnshire.